I've always wondered if cars like to be driven. I'm never sure if they like going out on the open road, or if they tire of long, steep grades and slow, hot traffic jams. I am almost certainly sure that cars do not like neglect. 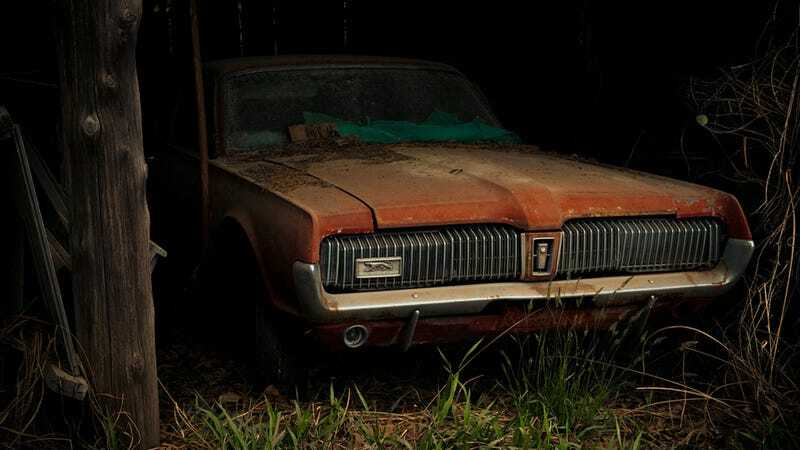 Sitting under a moldy car cover, rusting away under branches and pine needles — so many cars suffer such slow, undignified deaths. If only there was a way to show them all how much I love them. A way to tell them all I would rescue them if I could. While we were geeking out about NASA's nerdcore vending machines, we got a great thank you from DoubleOh187 in the distant and deep chambers of the Jet Propulsion Laboratory. Jason, thanks for showing up and showing off some of what you saw, from a JPL employee. Every year, when the budget flattens more and more and we (folks at the Lab) think people don't care, the Open House comes around and forty thousand people show up. It's that one time of year we get to collectively show off and it's a great experience. So thanks to you and others who took time out of their weekend to check us out!